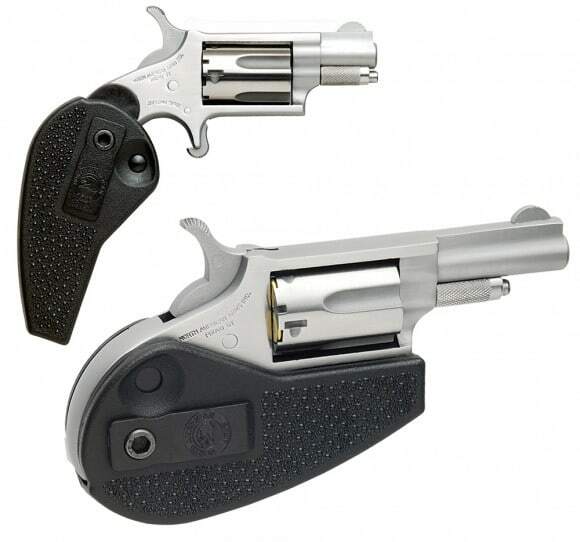 The 22 Magnum mini-revolver is a great little concealed carry pocket gun. The 22 Mag cylinder can be used with all popular .22 Magnum ammunition, including .22 Magnum shot shells (called Snake Shot by some manufacturers). 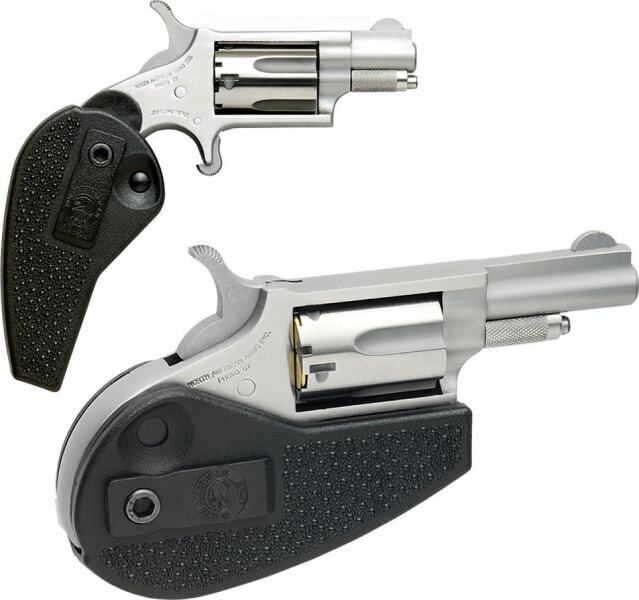 This model comes with a special 22LR conversion cylinder made longer to easily fit in the.22 Magnum mini-revolver. It is lightweight and has a 5-shot capacity. Using the half-way notch cylinder, the hammer may rest safely and securely away from live or empty chambers without chance of accidental discharge. The steel frame is fitted with a locking black holster grip with a pocket clip and fixed blade front sight. The holster grip unfolds and locks to become the handle of the gun. 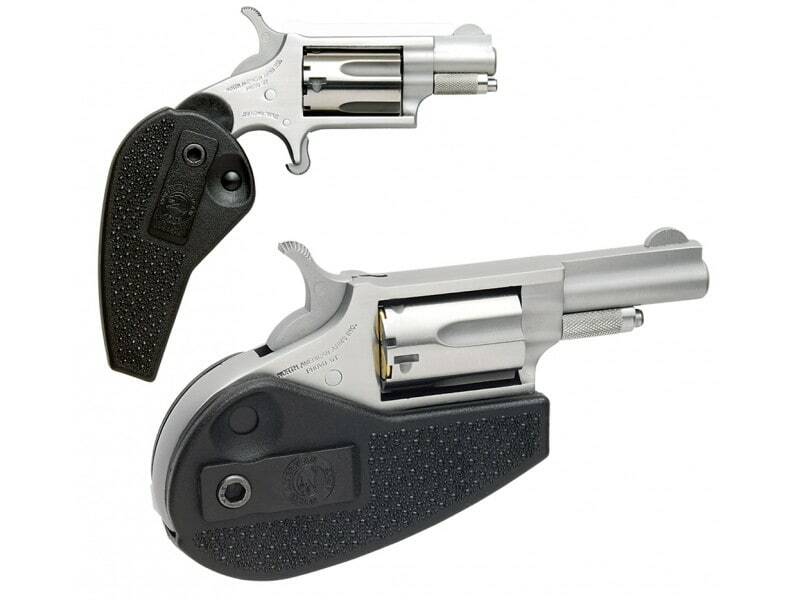 Press the release button and the mini-revolver folds back into the grip. For added safety, when the holster grip is folded, the trigger of the gun is completely enclosed making it virtually impossible for the gun to be fired.